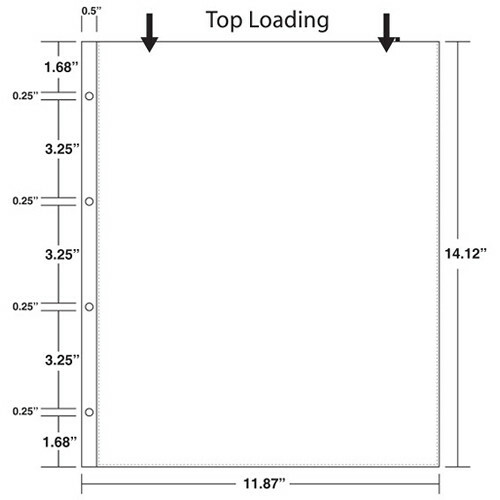 11 x 14" 8.5 x 11"
These 10 welded 11 x 14" portrait Polypropylene Sheet Protectors from Pina Zangaro are rated for use with delicate archival work. The weld parallel to the binding edge acts as a hinge, allowing the sheets to lie perfectly flat, making them ideal for use in screwpost books. They are made of inert polypropylene and are heat and scratch resistant, making for a chemically stable medium that can hold your prints and images without modifying them. Box Dimensions (LxWxH) 17.0 x 14.0 x 0.2"
11 x 14" Pro-Archive Sheet Protector (10-Pack, Portrait Orientation) is rated 4.0 out of 5 by 1.